"This podcast literally landed me in the finalist pool! I asked the question Peggy recommended at the end of my phone interview. The hiring manager said, "the fact that you asked that question confirmed my thinking. Yes, I am moving you forward to the next step." THAT is proof of the quality of her advice. Everything I've tried that Peggy recommends has been GOLDEN." 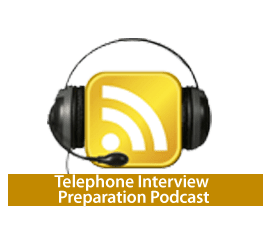 In this podcast, you’ll get a unique perspective on how to excel at the phone interview. As a recruiter, Peggy McKee has conducted thousands of phone interviews. She’s seen the good, the bad, and the ugly from candidates who excel at phone interviews, and those who definitely don’t. This podcast is your chance to hear from “the other side” what the interviewer is really hoping to hear when they call you.